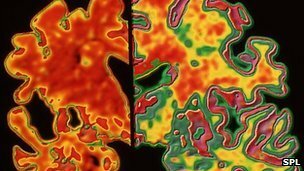 Genetic markers that could help highlight who is at risk of developing Alzheimer’s disease have been identified by US scientists. The research in Neuron identifies mutations that affect the build-up of certain proteins in the brain. Tangles of a kind of tau called phosphorylated tau (ptau) are a hallmark of the disease. High levels of these tau proteins increase the chance of having the disease. One of the new gene variants identified by the Washington University School of Medicine team was also shown to be linked to a small increased risk of developing Alzheimer’s and a greater risk of cognitive decline. The team used genetic information from more than 1,200 people, significantly larger than previous studies in this area. How does the brain multitask?